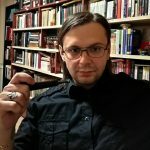 Articles about Traditional Satanism, Luciferianism, Demonolatry and other darker paths. We wrote about the primary traditions and rituals such as Dedication, Initiation, Pacts, Black Mass, Celebrations and Holidays, Demon worship, Covens, etc. It is an introduction to the primary Left Hand Path traditions as they are known and practiced.